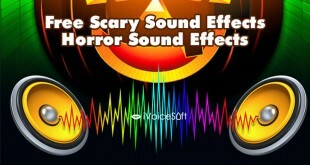 As Halloween is coming close, this time, iVoiceSoft would like to bring you all a simple tutorial instructing you on making a surprising video clip to scare the hell out of your friend. 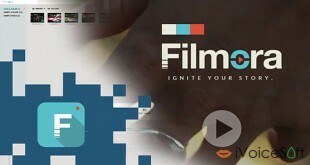 With the help of Filmora (originally named as Wondershare Video Editor), you will find making a Halloween video is way easier than ever before. 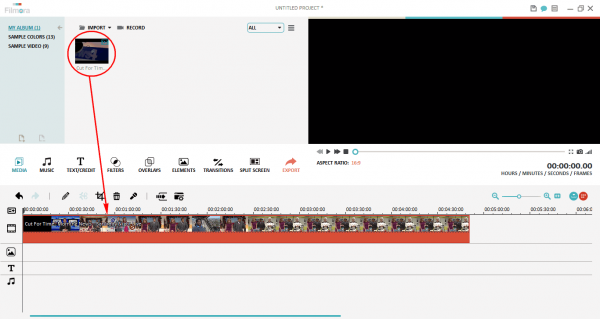 Before getting started, everyone can check out our detailed review for this fantastic video editor. 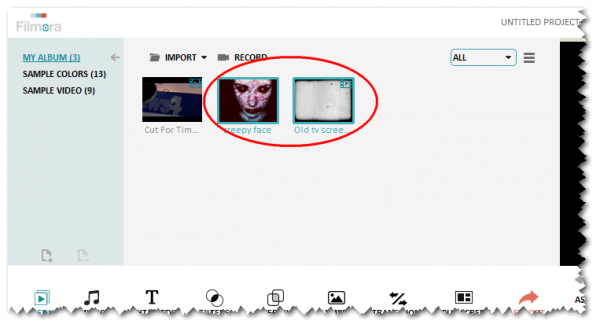 Import your scary picture/video to the program by repeating step 1. 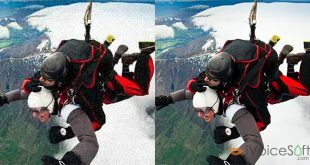 Timing is important! Choose carefully where you want to insert these surprising elements by playing it (3). 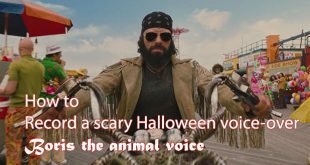 Then, stop at where you want the scary picture/video to appear. Now, your video has turned into 2 separate parts. 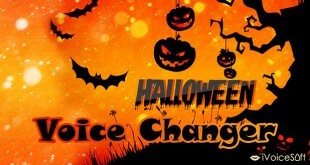 Drag and drop Halloween picture/video to the part you just split. 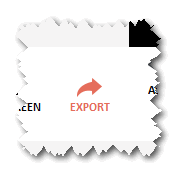 Adjust the length of time which you want this to be shown here. 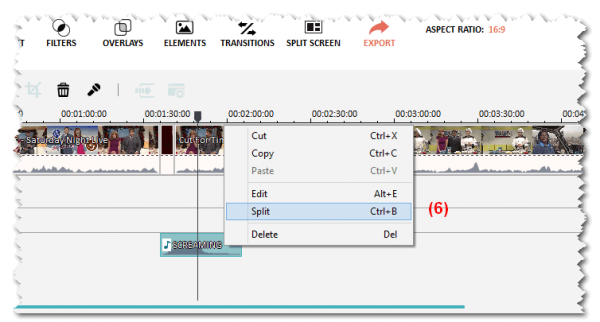 Learn more how to trim/split/join video files at this link. 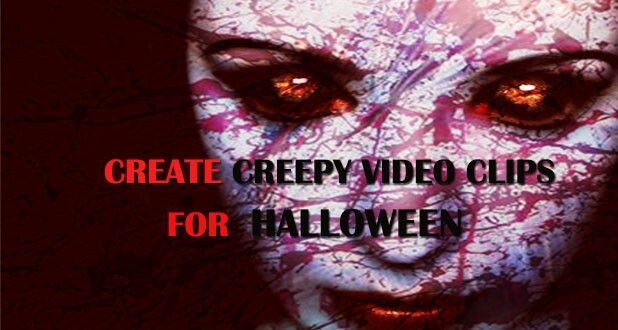 – Do similar steps for your scary video. A little support from listening sense can make things crazier. 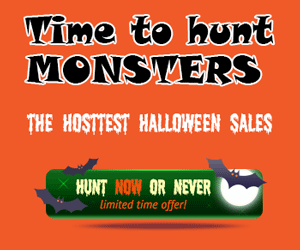 Find a horrific scream, or mysterious audio sound to surprise your pals in more effective way. Steps to take: Import the audio file >> Drag and drop it to the timeline, in Audio session (5) >> Drag it to where you want it to be played >> Adjust its length. 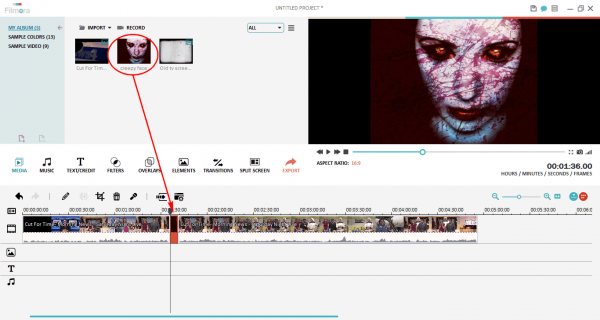 Learn more how to add or replace audio file in a video here. 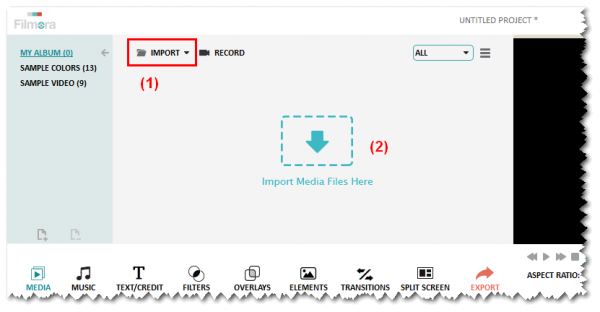 Now you can export your final production by choosing Export button and save it under various types of video/audio formats.